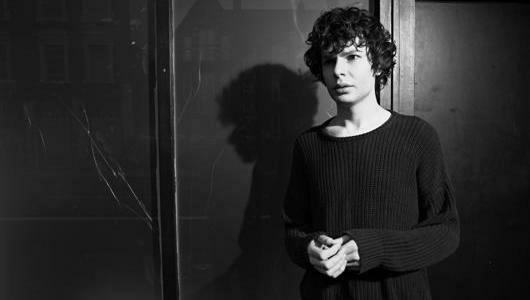 Simon Amstell: Numb – Tyne Theatre, Newcastle. It’s been three years since we’ve last seen Simon Amstell deliver his trademark soul-searching stand-up. Following his critically acclaimed 2009 tour Do Nothing, Amstell was back on Tyneside last night with a new show, Numb, but a familiar tale of loneliness and societal vulnerability. Former So You Think You’re Funny? winner Daniel Simonsen joined him in support. Norwegian odd-ball Simonsen is a bizarre choice for this tour. In many ways, he is Amstell’s opposite: a bold, brash comic who relies more on visual expression rather than the subtle linguistic nuances you come to expect from someone like Amstell. Simonsen starts off slowly, allowing the audience time to adapt to his strong, albeit affected, accent with a solid routine on compering etiquette. The material that follows, though, varies. Often anecdotes appear as half-formed ideas begging for a killer punch line, like his new routine on eating a sandwich at a funeral which stops in mid-flow. A more assured routine about house-sharing – that relies on the gender stereotypes Amstell that challenges – also falls by the wayside. But to be fair to Simonsen, the crowd are on board for the most part, and his affable stage presence allows him licence to explore riskier angles. Like Amstell, Simonsen’s personal stand-up is stronger: his confession that he is scared of gay people, for example, draws a big intake of breath from the crowd, but it is an intelligent take on homosexual panic. Coming in from the cold as tour support is never an easy task, but it doesn’t help that Simonsen’s material is a little frosty, too. Touring with Amstell, though, will no doubt do Simonsen the world of good; Numb is all about the personal moments. Those who have seen the former Never Mind the Buzzcocks host before will recognise a few of his comedic landmarks, as Amstell returns to the most prominent issues in his life: learning to deal with the fact he is gay, his perceived separation from society and, ultimately, Amstell’s conflict between who he is and who wants to be. He wants to be a poet; but, as he learned on a recent holiday, he is actually an emotionally-sapped sexual deviant. His sexual frustration often manifests itself as social awkwardness, especially at parties when he swaps the escape of ‘alcohol and drugs’ for ‘funny and shy’. Yet on stage, Amstell speaks so eloquently and openly about his problems, probing his life to find out more about his unassuming identity. He shares with us raw memories of a break-up with an ex-boyfriend, when he goes into the toilets of a coffee shop to cry because he feels overexposed in public. But as Amstell confesses, he only tells us about that moment because he couldn’t tell his overtly masculine dad. Eventually, like an angsty teenager, he traces his problems back to his parents and their decision to have him circumcised. For Amstell, this physical act of dismemberment – a symbol of archaic societal conformity – represents an emotional loss too. Yet beneath Amstell’s latest hour of soul-searching lies a new found optimism. The Sylvia Plath of stand-up has an answer to his latest identity angst: embrace your selfish nature; just do the things that make you happy. And avoid the things that make you numb.